Looking For Copy Shop Manufacturing Mining? Print Pro Digital is a premier printing company in Winnipeg, Manitoba. Established in 1989, the Winnipeg Printing Company provides high quality printed products and professional graphic design services. 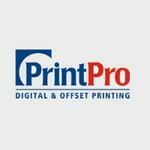 Bhadresh Bhatt is the owner of Print Pro Digital. Products Carried: Print Pro Digital offers quality printing services in Winnipeg, Manitoba. Print Pro Digital services include: Business Cards, Poster & Banner Printing, Flyers, Brochures, Wide Format Posters / Banners, and Signs & Banners. They also offer Offset Printing, Bindery and Finishing, Specialty Labels, Magnets and Lawn Signs, Variable Data Printing, and Graphic Design Services.